Problem: My son can walk, after a fashion. In a horizontal plane. Stairs not so much. But he can crawl up them. I need to block the stairs without preventing my cats free passage back and forth. 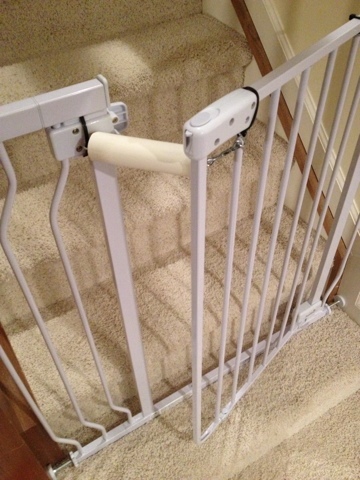 Obvious solution: Baby gate. Check. All progress impeded, so some modification to prevent small bipeds but allow small quadrupeds access was needed. Also the ability to prop the thing open sans hands or obstructing object would also be helpful. 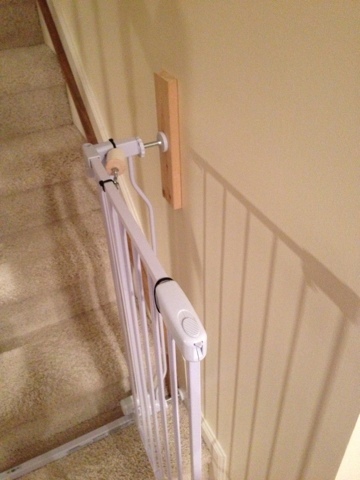 The solution, some cable ties, eye hooks, spring locking hooks, a dowel, and a little ingenuity. 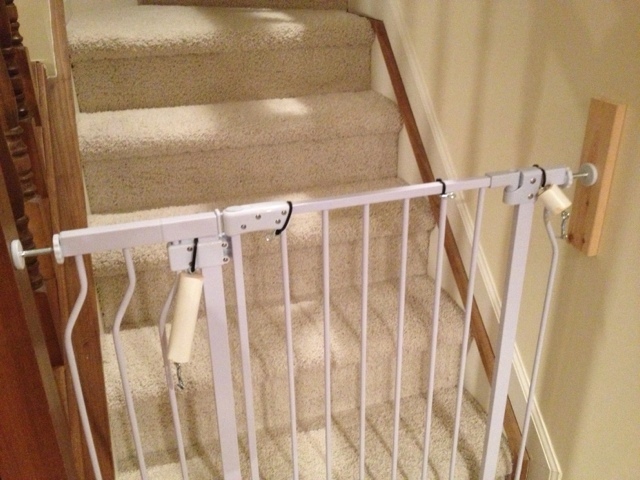 By using different lengths of dowel with eye hooks sunk in each end, one coupled to the spring lock hook, and I am able to prop the gate open in various ways.